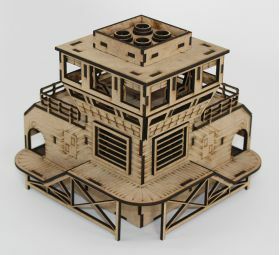 The Command Center orchestrates the activities of the entire industrial development from assembly line work to cargo transfer to the fine detailing on the finished products. 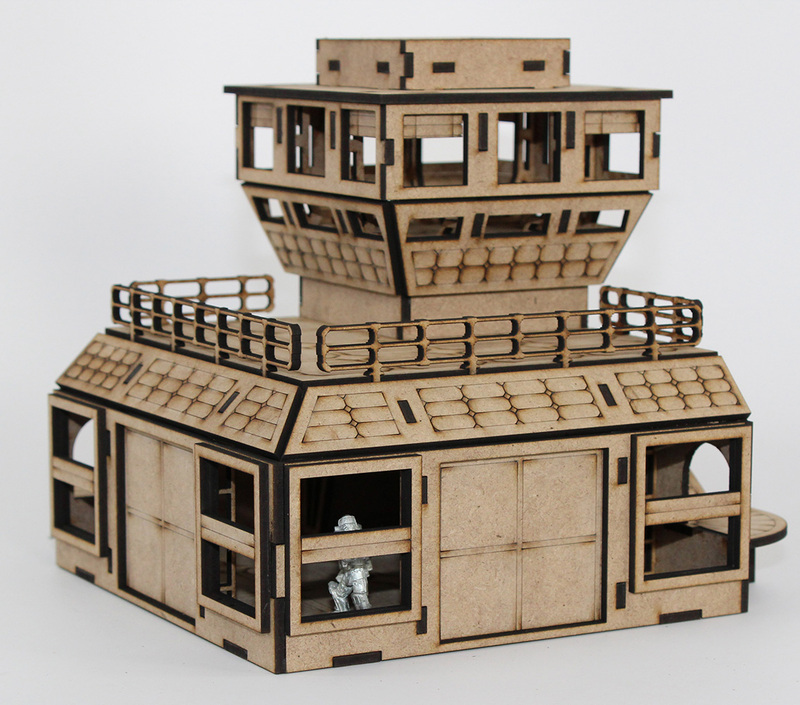 The building itself is about 6 and 3/4 inches square with an external walkway on two sides making the final footprint 8 by 6 and 3/4 inches. 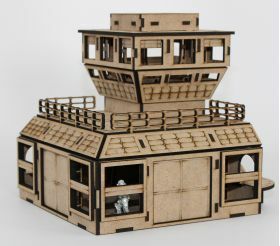 The main room is 3 inches high and there is an attached tower for the facility boss that raises the final height to nearly 7 and 1/2 inches. 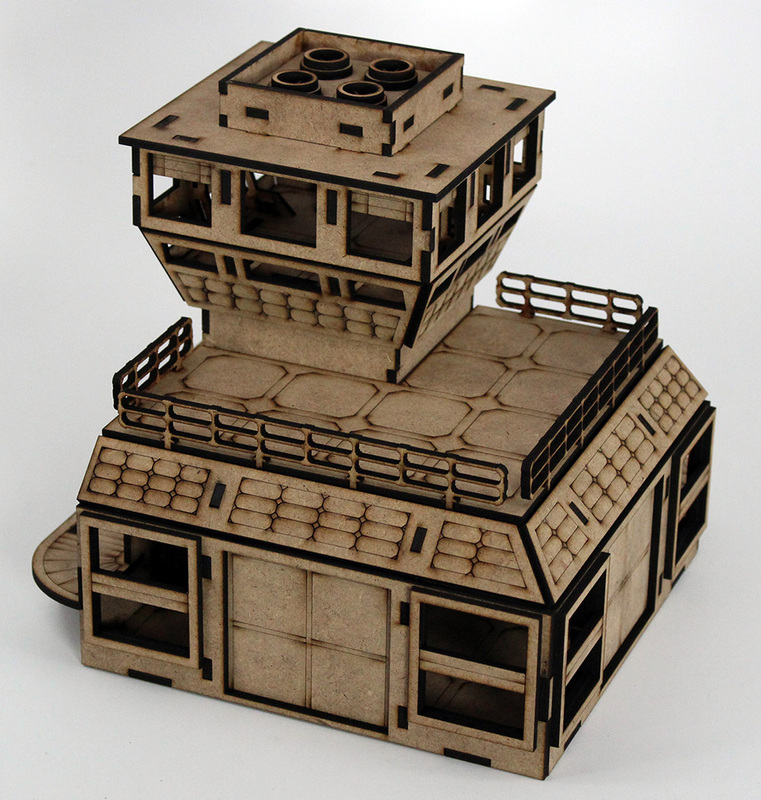 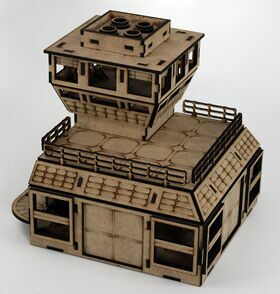 Both the tower and main complex feature removable roofs that let you use the entire structure for your battles. 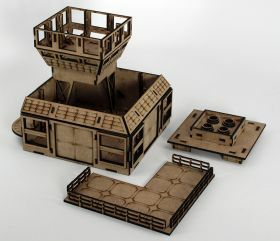 Designed to be used with 28mm figures.